Two Corporation Way is a Class A office/R&D building located in Centennial Park, a corporate park at the junction of Route 128 and I-95 in Peabody, MA. The building features a 2-story skylit atrium with a Japanese garden, which is maintained by Plantscape Designs, Inc. This Zen Garden features a number of green plants, such as Bamboo, Pittosporum, and Japanese Acorus lily plants. The Bamboo and Pittosporum plants tend to be aggressive growers and need careful and timely pruning to keep them looking their best. The garden also features an automatic water system with a diurnal timer. 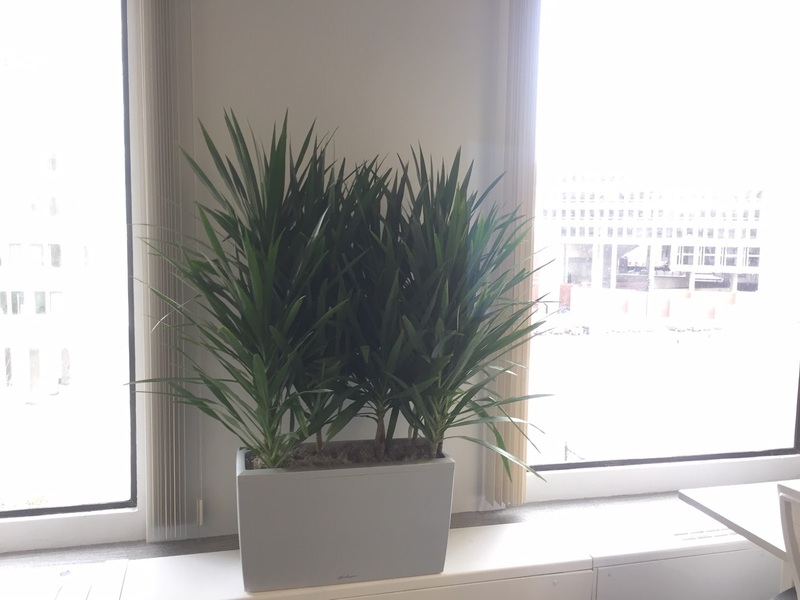 The benefits of these interior office plants are many. Not only do they provide a beautiful, calming landscape environment within this office building, they have multiple health benefits. 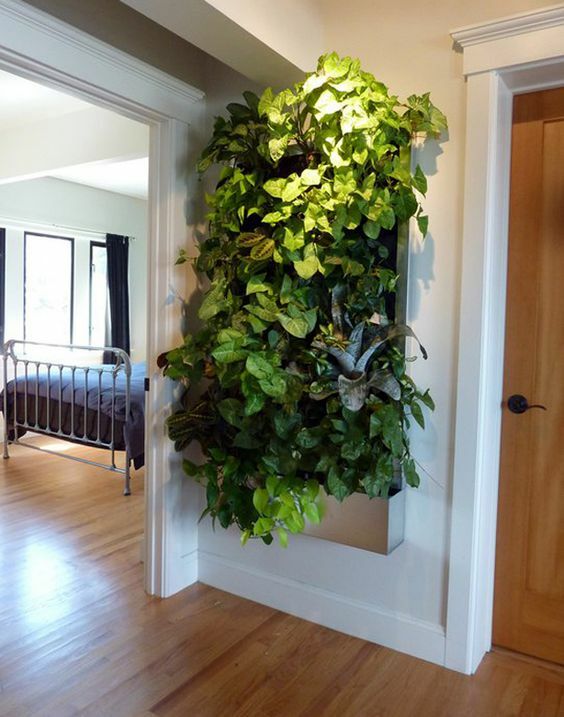 All out-gassings such as formaldehyde, benzene, and styrenes are neutralized by our indoor green plants. 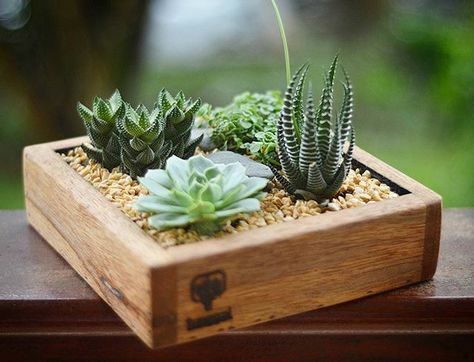 "Our Zen Garden is so well cared for by Plantscape Designs Inc.'s General Manager Brian Guilfoyle, that our building's tenants just love coming to work all year round." 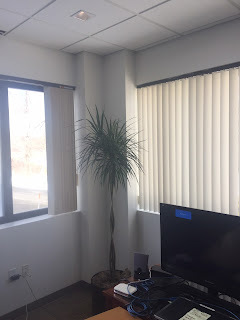 From PDI New Cordyline Indoor Office Plants With Color Brightening Up Your Boston, MA / RTE 128 Corporate Offices. Our plant catalog showcases some of our more popular indoor office plants. 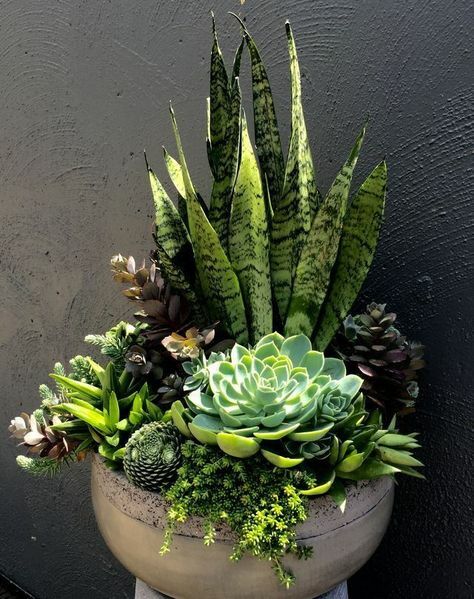 If you're looking for a specific type of succulent or other indoor plant for your Boston area office building, or your office has special needs or requirements, contact us and we'll help you find exactly what you're looking for. 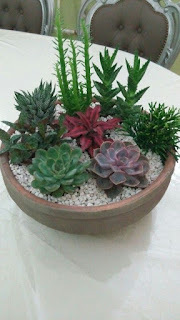 Plantscape Designs Inc New Succulent Garden Designs Boston Area Now 25% off Next Week Only. 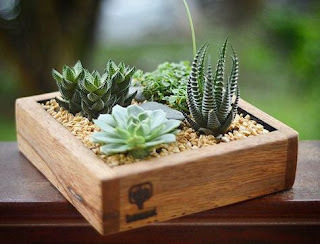 Plantscape Designs Inc New Succulent Garden Designs Boston Area Now 25% off for Next Week Only. ZOLL Medical Corporation develops and markets medical devices and software solutions that help advance emergency care and save lives, while increasing clinical and operational efficiencies. Plantscape Designs has been providing interior landscaping and plant care services for the company for over 25 years. "For almost three decades, I and Zoll have been working with Joe and Brian at PDI redesigning with interior plants for our ever-expanding manufacturing facility which makes heart defibrillators for the world. Our main lobby visited by clients worldwide is more pleasurable to enter with these live green plants incorporated within it." 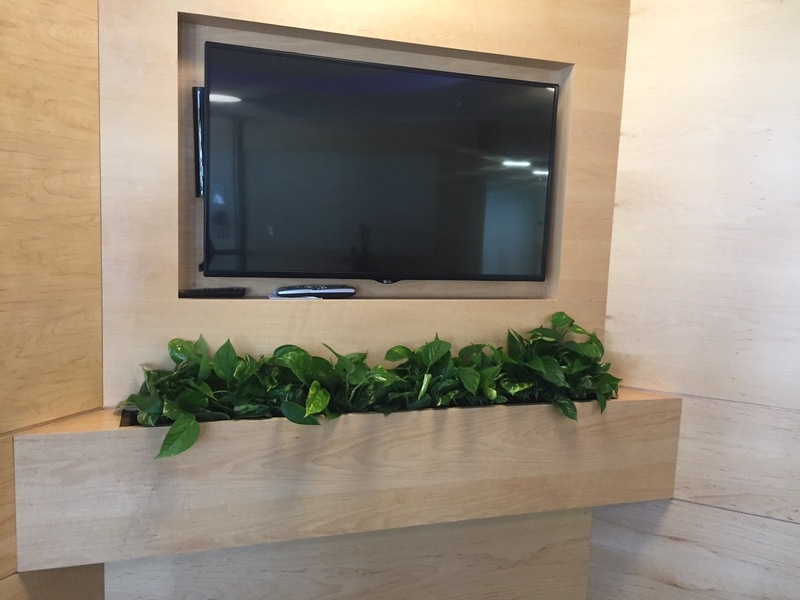 Mullen Lowe, recognized among the elite and most innovative marketing organizations in the world, utilizes Plantscape Design Inc's services in their Boston office. Mullen is a high tech interior design office workplace. Metal stairways and conference rooms abound. Hard tile surfaces. Black marble counters in each meeting room and drawing design centers. We needed some softness here and there throughout. Joe Gallo's interior plants did it for us. What separates us from our competition? We provide a modern flair with creativity. 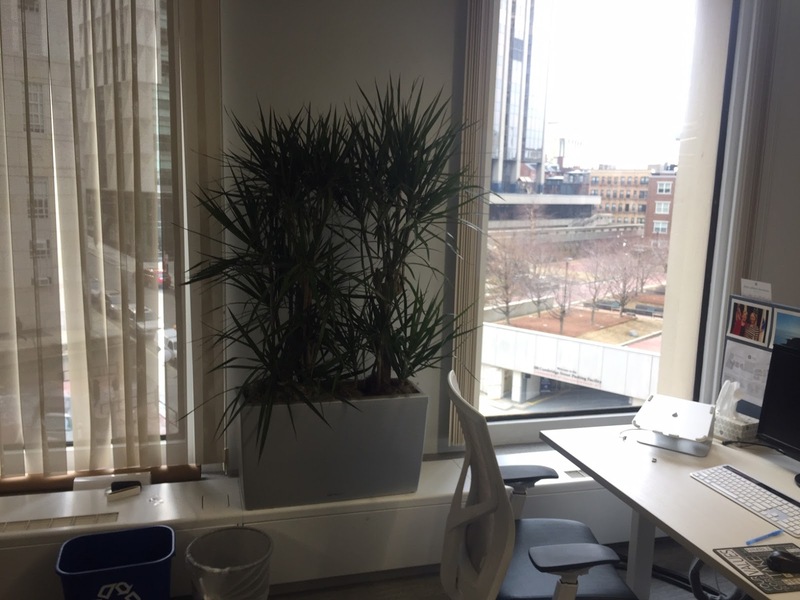 PDI's indoor office plant designers in Boston utilize only the highest quality plants to complement all architectural styles and environments. Weekly site plant care visits. 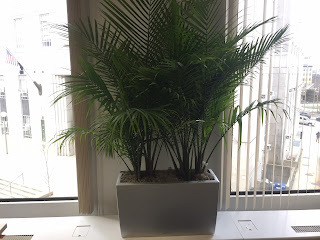 You can also count on Plantscape Designs (PDI) team of indoor plant technicians to provide friendly, punctual and expert plant care and maintenance to your office environment, keeping your greenery and flowering plants in peak condition. 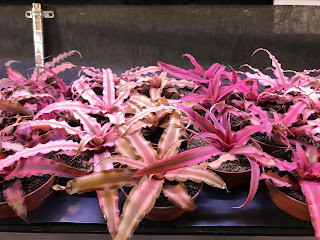 "Wow - what a pleasant healthy feeling we all receive here at FUJIFILM Biotechnologies USA each day when we arrive to work! 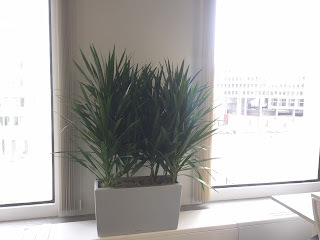 These corporate indoor plants and flowers really make our offices come alive." 1. 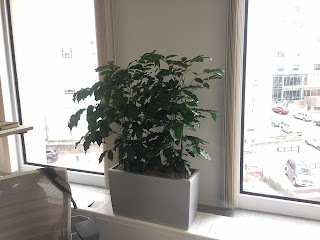 Free consultation for office plant assessments. 3. 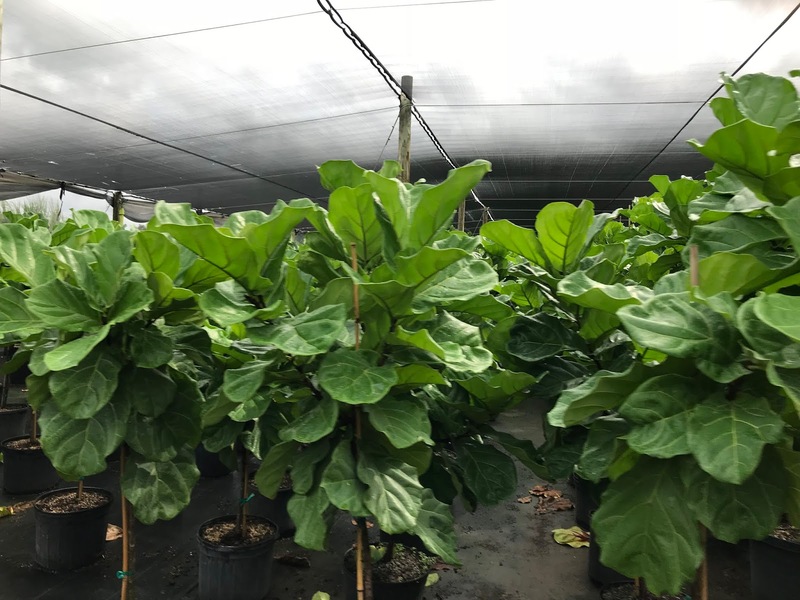 Weekly service and lifetime guarantee of our plants. 4. Prices that are hard to beat. PDI Plantscapes Inc. has been proudly servicing the Cambridge, MA and Northshore area for over 45 years. PDI is run by Joe Gallo who is a educated botanist and has authored books on plant care. He loves serving his customers and educating them about the benefits of plants. Euro-Pro is the creator of the household appliance brands Shark and Ninja. 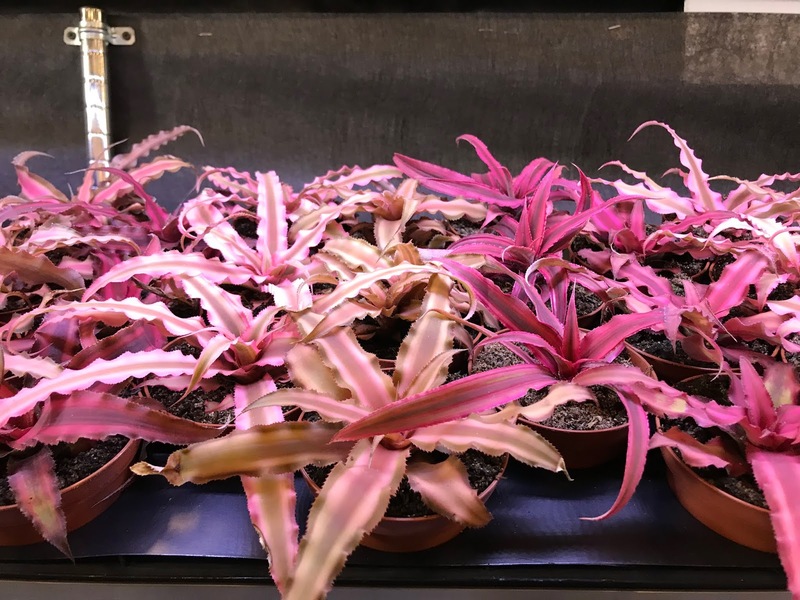 Plantscape Designs, Inc. provides their office plant solutions, including plant maintenance and a flowering orchid program. 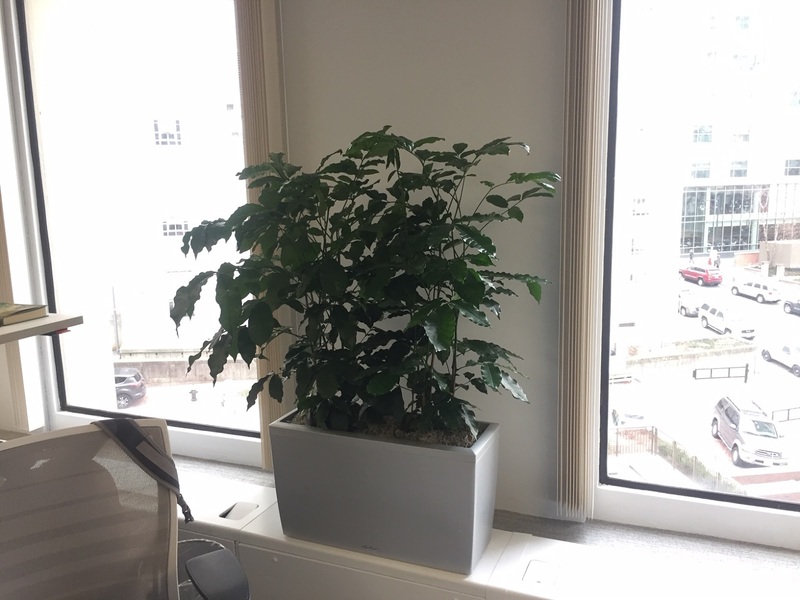 "We have so much office space both here and at our Needham offices, we need to fill our workspace with health-radiating green office plants and flowering orchid programs." 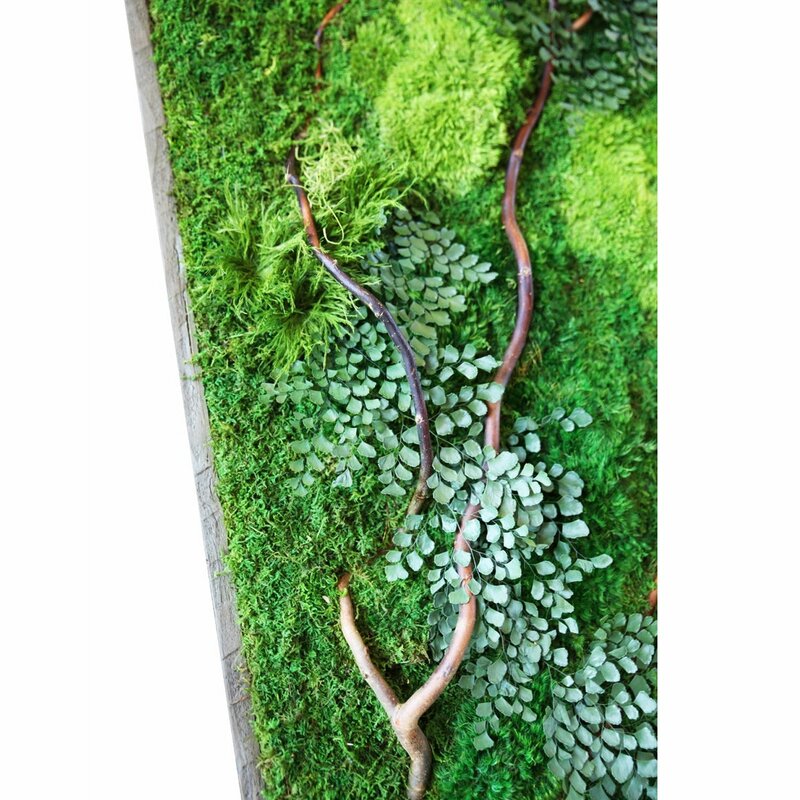 Are you looking for creative ways to bring a little nature into your space and incorporate it into your latest project? Preserved moss is an excellent option! 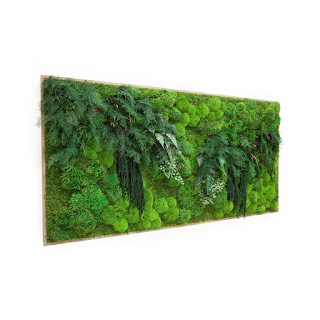 It can be applied to corporate walls or hung on Wall Panels or in corporate lobbies Boston, MA and comes in a wide variety of colors, from earth tones to vibrant artificial colors. "What a difference these live green indoor plants make within our showroom! These green office plants give both color and a welcoming softness to our glass and steel showroom and glass and steel Acura automobiles." — Henry, Dealership Manager, Acura of Peabody (Rte 144). Plantscape Designs Inc does not use harmful insecticidal sprays on your indoor green plants. PDI Plantscapes Inc. has been proudly servicing the Peabody, MA and Northshore area for over 45 years. PDI is run by Joe Gallo who is a educated botanist and has authored books on plant care. He loves serving his customers and educating them about the benefits of plants Peabody, MA. Mimecast provides an integrated email cloud subscription service which delivers comprehensive email risk management for their clients. Because of their limited space, Plantscape Designs, Inc. has provided them with myriad plants in tall stylish Lechuza Cubico plant containers. 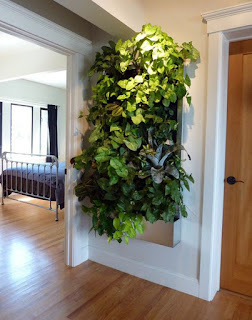 This economical plant presentation gives the perception of having larger or taller mature green office plants. We have tight quarters here. These tall cylinders from PDI allow us to purchase smaller, less expensive green plants reducing our maintenance guarantee costs. 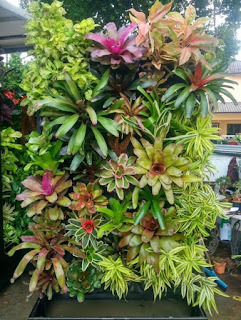 The taller planters display these as if they were more expensive interior green trees with more height. We also have taller large trees as well. Implant Sciences Corporation is a leading manufacturer of explosives trace detection (ETD) and drugs trace detection solutions for homeland security applications. Plantscape Designs, Inc. supplied the company with myriad green plants and provides weekly plant maintenance services to keep them looking their best. "It looks just beautiful to come to work. 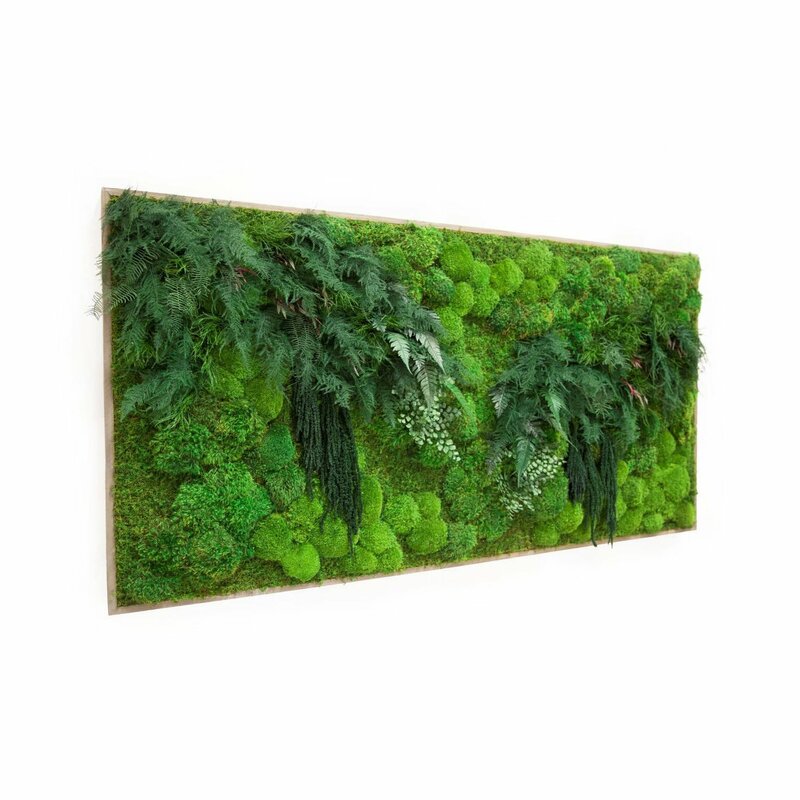 These tropical interior low light plants help relax us in this high tech stressful office." 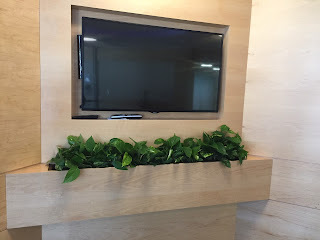 Plantscape Designs Inc. is an interior landscaping design and plant maintenance company that delivers superior quality office plant products and service for a very competitive price. We are so confident in our ability as as plant care professionals that we FULLY GUARANTEE our plants FREE of charge. We also GUARANTEE COMPLETE SATISFACTION. Our interior landscape design specialists and certified horticultural technicians are the best of Boston and Burlington, MA. 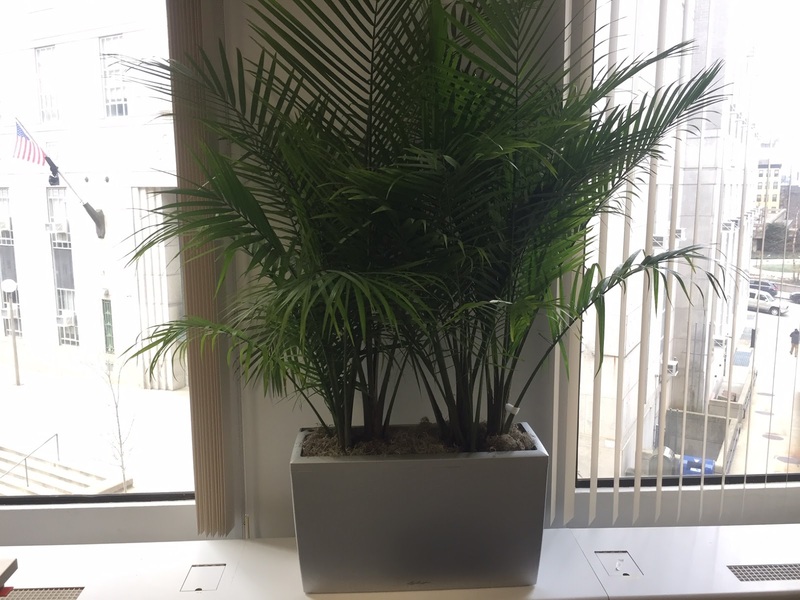 "Providing excellent services for corporate interior plant and vegetation solutions for over 40 years." Plantscape Designs Inc., We provide Corporate interior office plant care and indoor plant design services in Boston and eastern Massachusetts. We service office buildings, malls, interior designers, architect firms and more. Our company is renowned for beautifying the workplace with our innovative interior landscaping services and indoor green and flowering plant designs. With a modern flair, PDI utilizes only the highest quality plants to complement all architectural styles and environments. Discover the difference our skilled Boston area interior landscaping professionals can make for your business aesthetics.